There’s Reflection: The Stranger in the Mirror on top of the stack! 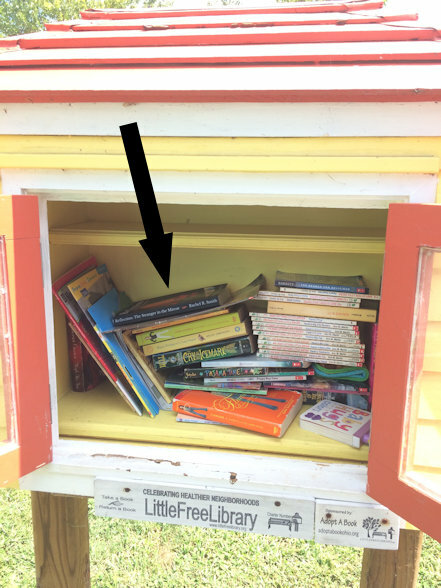 Over the weekend, we ventured down to the local bike trail and dropped off a paperback copy of Reflection: The Stranger in the Mirror at a Little Free Library. I left a handwritten note in the cover for whomever happens to pick up the book (which is ironically similar to the messages in the covers of the books that are so integral to the plot of the story itself!). I can’t even describe how ecstatic I would be to, one day, find a response here or on Facebook from someone who came across this copy. I wonder if that will ever happen?